The Dada movement and then the Surrealists appeared in the First World War aftermath with a bang: revolution of thought, creativity, and the wish to break away from the past and all that was left in ruins. This refusal to integrate into the Bourgeois society lead Georg Grosz to remark of Dada, “it’s the end of-isms.” Breton asserted that Dada does not produce perspective, “a machine which functions full steam, but where it remains to be seen how it can feed itself.” Surrealism emerged amidst such feeling. These artists often changed from one movement to another. They were united by their superior intellectualism and the common goal to break from the norm. 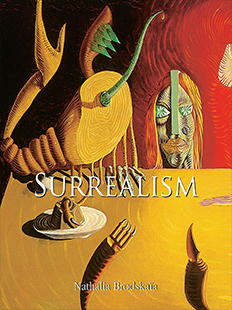 Describing Dada with its dynamic free-thinkers, and the Surrealists with their aversive resistance to the system, the author brings a new approach which strives to be relative and truthful. Provocation and cultural revolution: Dada and the Surrealists, aren’t they above all just a direct product of creative individualism in this unsettled period?